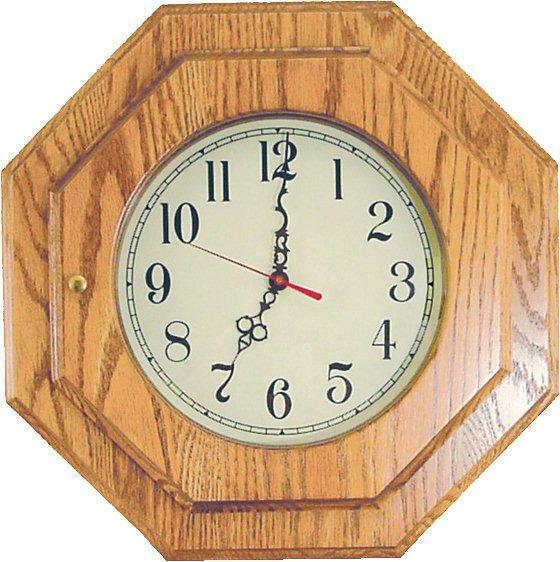 Handcrafted from solid hardwood, our Amish Octagon Clock features a quartz movement with a hinged wood cased cover, offering a classic look with all the benefits of modern timekeeping. Hang it in any room in your home and you can't go wrong. This brilliant clock is sure to make the perfect, subtle statement you've been looking for, while providing accurate time at a glance. Browse our collection of handmade clocks to find the one that you like best. Please get in touch with a Furniture Specialist if you have any questions about your custom clock. Thank you for shopping with DutchCrafters. Email us at Questions@DutchCrafters.com Call us toll-free at 866-272-6773. Please call to place your order for Roman numerals instead of Arabic Numbers as shown.